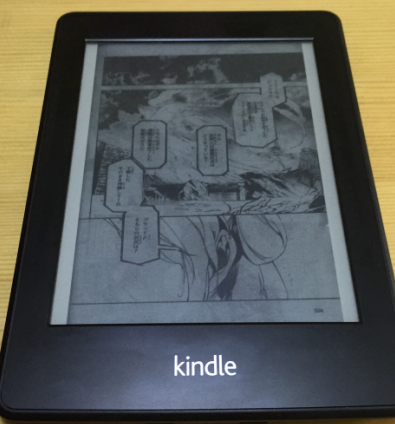 Amazon Kindle is a perfect device to read comics and manga books, for its long duration battery, black and white screen, and the appropriate screen size. But most of comics/manga books are coming as image files like PNG/JPG, or the customized comics/manga format CBR/CBZ. If we want to read comics/manga books on Kindle, we need to convert the images or CBR/CBZ file to Mobi, which is the acceptable format of Kindle. 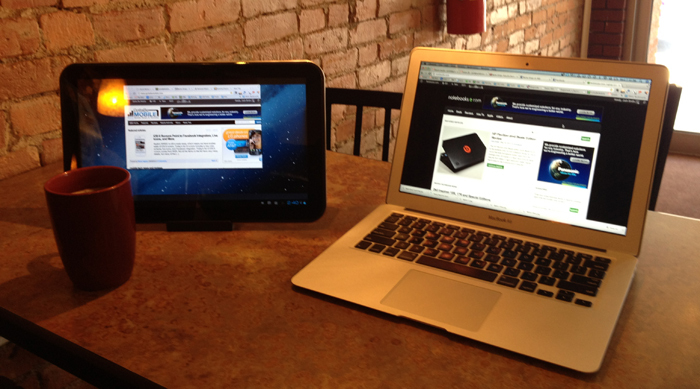 Here is the user guide about using Kindle Comic Converter. No matter you are using PC, Mac, Linux, the steps are the same. Download Kindle Comic Converter, install it. 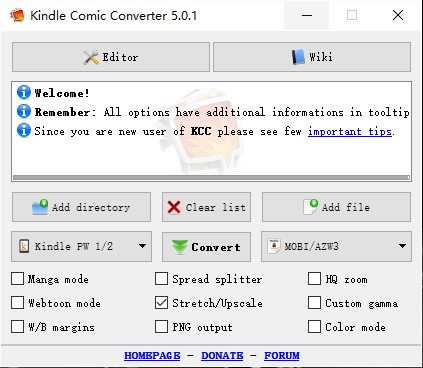 Download KindleGen, extract the files, and copy the kindlegen.exe to Kindle Comic Converter’s directory. If the source are images, click “Add Directory” and choose the folder where saves the images; if the source is a CBZ, CBR, CB7 file, please click “Add File”. Choose your Kindle model, choose output format as “Mobi/AZW3”. Click “Convert”, the output file would save at the same path of the images directory. Here is how the converted book looks like on my Kindle.